We are very excited because the Smile House project is going forward rapidly. It is so interesting to watch God work at His own pace, with His purpose. Manna Worldwide and Smile Alliance International have partnered together and we are beginning to see the possibility of the fulfillment of the dream. Over the past three years we have been praying that this huge building could be used to help the children of Ukraine. SAI’s original idea was for a transition home for orphans that graduate from the orphanage at sixteen. 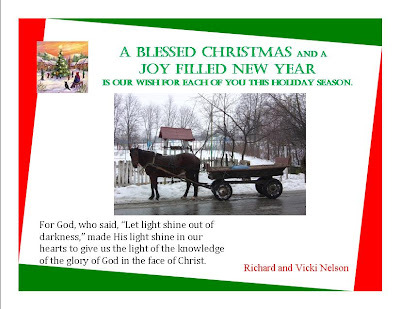 But with only Dr. Richard and Vicki Nelson and Valeriy Suzdaltsev actually in Ukraine, we knew it would have to be miraculous for this project to ever be complete. Our plans and ideas for the top floors of the building shifted from one idea to another. Meanwhile, we felt we had to be faithful with the funds provided and asked our wonderful team of Ukrainian builders to continue working on the building as donations were received. Funds were generously donated to install windows and doors. Last year about this time, we felt we were supposed to go forward with the dental clinic and now half the first floor is complete. The floors and walls are done and it is ready for dental equipment, cabinets, and other furnishings. Now we are looking for donations of good quality used or new dental equipment from the states or funds to purchase equipment in Ukraine. God has brought us this far and we know in His timing that He will provide all the things needed so that many underserved children in the area will be able to receive compassionate dental care. Several Ukrainian dentists have expressed interest in volunteering time at the facility when it opens. In the meantime, we are “preparing for the rain”, talking to government officials and trying to make sure we are following all the regulations required to begin. God has been so very faithful and we know He will continue to supply the items needed and volunteers to make this happen. Drs. Richard and Ina continue to serve with the Youth with a Mission dental van and at the Emmanuel Clinic providing free treatment to children. Faithful supporters have made it possible for Dr. Ina to continue in this ministry. Several thousand children were served through these ministries in the past three years—again an amazing story. Thank you to all our supporters for your prayers and continued encouragement. Thank you to those who have felt God leading them to support the ministry in practical ways. To those who have generously donated funds and goods, we especially want to say a heartfelt Thank you. And we ask you to continually pray for this project so God can be glorified and many children in Ukraine will be served. May you be blessed. Sighing, I picked up the list of poor children we were going to visit on the weekend. Listed were forty-seven children in twenty-one families. Yet the only thing I knew about them was the age marked beside their names. Although the focus of Richard’s ministry is dentistry, my ministry in the country of Ukraine seems to be distributing humanitarian aid—mostly clothing—and gifts to widows, orphans and underprivileged children. Many friends, Smile Alliance International and several churches send boxes on a fairly regular basis. The sorting, organizing and hauling around of boxes is a lot of work but we definitely enjoy the smiles and joy on the faces of the recipients. God has a strange sense of humor. When we sold our things and moved here from America I envisioned a new start—a home finally free of clutter and stuff. I would at last have the time and energy to be organ ized. Things would be neat and tidy. Right! God generously provided a house for us to live in after six months of living in an apartment building. Humbly I thanked Him for His provision. He bestowed on us this blessing and we dedicated it to Him and His work. That’s when the boxes began to arrive.I often laugh when I am in the midst of unpacking and sorting. During this time every free surface in our living quarters holds a stack of socks, shirts, pants, gift items, or some other thing. Sometimes I summ on the troops to help but often I forge ahead alone. It is during this time I can pray for those who will be receiving each item. I can ask God for direction, guidance as to whom He has sent each thing. And it’s amazing what transpires. I could tell story after story about this. But for now I want to share stories of some special gifts that touched my heart. Background information is necessary so you can see the scope of things and God’s love working through each person who has generously donated funds, time, and goods. We really believe that He cares about details, influences people to send various items and funds, and touches people hearts with a desire to help. I picked up the gallon size Ziplock bags that have become my second favorite ministry tool. Slowly I began filling each of them with a toothbrush, comb, piece of candy, mini book filled with Russian Bible verses (sent by an anonymous donor), a slip of paper outlining the Gospel message with an invitation to accept Jesus, and other basic items. Pastor Dima, a missionary to one of our neighboring villages, had asked us if we had some small gifts we could give to children they were going to visit. We told him we could do that but asked if we could go along when they visited the families. They were happy to have us join them and the date was set. The village social worker had provided lists of the neediest families. Dima had worked with some of them before but many were new to him. The previous week I had assembled 110 plastic shoe boxes (my very favorite ministry tool) filled with gifts for Mostysche Orphanage and Sunshine Center for Street Children. The providing church in Ellensburg, Washington had generously included extra things in their twenty large boxes so I had enough to start filling my plastic bags. Then I added items from my reserves upstairs. The final step was to put in some age-sensitive items, something each child might need. I prayed for God to help me put just the right items in each bag. I had kept in reserve a few of the brand new sleepers, jeans, and shirts for toddlers sent by a church in Cle Elum. So the bags for the 3 through 5 year-olds were easy to fill. Two different retired couples in Oregon had lovingly hand-knitted hats, mittens, socks and sweaters. These too were added to the packages. The older boys were a challenge but winter scarves, gloves and wallets purchased with donated ministry funds helped complete their bags. A box from my friend in Oklahoma provided some items for the older girls. But I was unsure what to put in the last of the baby and small toddler gifts. Then MEEST, the shipping company, called and brought four very large boxes from a church in Canada. Sent the middle of November, the boxes had somehow lost their way and arrived “just the day I needed them.” Now, the babies were very well taken care of. Grandma Rosa project blankets purchased and put together by friends in Washington State were put in large plastic bags for the children 12 and under. Then the zip lock bags for each individual child were added, each large bag was closed and the family name written on the outside. We were ready at last to begin visiting the homes. Dima’s church bathed our day in prayer. I was profoundly glad about that when we encountered vicious, large dogs as we entered several of the yards. Although going door to door is not my forte, our advantage was that we were laden with gifts. Another plus was Dima’s previous work in this village—getting to know the people—showing them love and acceptance. Most of the homes we visited this time were ones he had been in before. Next week will be another story. Each home told its own story. Some were relatively neat, others cluttered and messy. Most had foldout beds in the kitchens and living rooms. Some were really dark. Most were not very warm. Several had sick children or adults. Children and adults with sad eyes and downcast faces were the norm. All had a need for God’s love and joy. Dima, Vadim and Lada are recovered drug addicts who are now in ministry. They put their hearts into sharing the message of a better life and they were living proof that it can happen. Our friend, Tanya, interpreted for us. People listened. Vadim played the guitar and they sang songs for the children, others for the adults. Lada, a lovely lady who was addicted to drugs for fifteen years, has a passion for sharing how God can change hearts and lives. She invited and encouraged each person to ask God to help them and to come into their lives. I shared that we lived in Ukraine now because we felt God had sent us here to proclaim his love. I told them that God had given us many gifts, the best His Son, Jesus, and friends in America had sent presents to them to remind them of this love. When they cuddle with their blankets and enjoy their gifts, I asked them to remember how much God loves them. I then asked them if Richard could take their pictures to send to my mother who had the idea for the blankets, and to those who sent the gifts. I am going to get copies made for them. I saw joy on most of the faces of the kids as they received their presents. Many quietly took them away for opening. I could tell something about each child, but I will limit this to three profound stories. Dima jumped out of the van and started to open the gate at a house he had not visited before. This set the watchdog to barking angrily—this works in place of a doorbell. A thin lady dressed in warm clothing (including a hat on her head) came to the gate. Her expressionless face led to speculation as to whether we would be invited in or not. But she grudgingly beckoned toward the house as she stood guard in front of the dog house. The standard Ukrainian house is different than those in America. The door often leads into an entry room—sometimes with chairs—or a kitchen. At this home, the 17 year old son led us through a small dark kitchen which also had a bed in it, through a hallway with two more beds, and into a room lighted by sun through the windows. We sat on the bed there and some stools that were brought in. The lady stood leaning against the door, arms folded tight across her chest, listening to Dima. Her three boys came in. The eldest, Valeriy, had quit school and now repaired cars.. The two smaller ones, Dima 6 and Olexi 11 were talkative and friendly. Vadim asked the question about what they wanted to do when they grew up (this was the only place this question was asked.) Olexi’s desire was to be a policeman but Dima dreamed of being a “footballist”. In America we would say “soccer star”. We discovered that Luda, the mother, had cancer which had returned after a five year remission. She was barely holding herself together. Eagerly I opened the bag we had prepared ahead for this family. While packing them, I had asked God to help me select the right blanket for each child. In my heart I knew what I would find—sure enough—one of the blankets was purple and covered with soccer balls. (There were only a couple of these blankets in the box I had unpacked.) When my turn came to give out the gifts, I looked at Dima. Smiling with tears in my eyes I told him that God loved him very, very much. I told him I knew this because God had me put this blanket in the bag just for him. God knew his desires. He knew his heart and he cared. I was rejoicing inside. My friend’s four year old granddaughter had picked out a special blanket to send to a little girl. Yvie prayed for the girl. She told Mimi that she loved the little girl. They sent the blanket. I found it at the top of a box and chose if for a four year old on my list. Halfway through our day, I told Dima that I would really like to see if we could deliver it since I knew Yvie was waiting to hear about the little girl that would receive it. Dima knew the mom. Her latest boyfriend had just gone to jail. We found the boarding house where she lived. The outside door was open and several small children sat on the table and the stairway. One had a dress and nothing else on—not even socks. This was Natasha, sister of the four year old, Ira. There were socks and warm pajamas in the bag I had prepared for her. We went up the filthy, cluttered stairway to the room where the mother and her four children lived. It was tiny with a double bed at one end and bunk beds on each side. There were stuffed animals nailed to the wall above the bed. The two little girls, Ira 4 and Natasha, along with a boy about 5 and a baby 7 months old were on the bed where the mother lay beneath a blanket. She said she had a headache. She was lethargic. In the past she had attended Dima’s church and now they tried to talk to her about her life.. She told them she had no desire to change. She was going to live the way she wanted. Richard had gone to the van to get some things for the little boy since we only had things for the girls—fortunately I had thought to put extra things in just in case this happened. I heard a man’s voice in the kitchen and footsteps on the stairs. The man was swearing. I asked Dima to go meet Richard and as he left the room, the man stopped at the top of the stairs and started swearing at us. He told us to get out, that when people visited bad things happened. (We found out he didn’t even live in this place.) It was obvious he was swearing even though I don’t understand the language. I started praying for all our safety. The man descended the stairs after Dima and continued to yell at him. Richard came in—Dima told him Richard was American and couldn’t understand him. The man stopped yelling. They came up to where we were. We quickly gave the presents to the children. I told them that God loves them. I told Ira that Yvie had sent her the blanket and that she loved her. We left. I felt very sad. I know that before long those children will probably end up in an orphanage. They may have a safer, better life there. Tanya, our interpreter, said she had never seen such a place. It was an eye-opener for her. I think we all felt a measure of grief and knew that we need to pray for this mother and her children. After the boarding house incident, we decided to visit one last place and then continue our visitations at another time. As we entered the final home, we went through a room with dirt floors and into the kitchen. The grandmother welcomed us into her living room which contained a large bed. It was neat and clean. Our list said Yura was 10 and his sister Nastya 9. They looked much smaller and younger to me. But it’s often difficult to tell. I wished I’d asked them. They knew Dima and go to his Sunday school when he can pick them up. (His car has not been running so they haven’t been able to go recently). The friendly grandfather came in while we sang some songs. Lada began telling Grandma Olga that God could help her. Grandma took over the conversation. The kids live with them because their mom is a prostitute and has disappeared from their lives. She told us that she had her children baptized and she felt that was the worse thing she had ever done. I don’t know why. She told them a lot that didn’t get translated. Finally, I had Richard tell a bit about how God had brought us to Ukraine to share His love with people and we gave the kids their gifts, then we prayed with the family. I don’t know where the words came from but I firmly believe them. She said she was so much older than me but I told her she had only three years on me. She’s had a very difficult life. As we got ready to leave, I hugged her. She just kept hugging me. I want to go back. I liked her. I’d like to get to know her, find out what makes her go on, see if I can do something to encourage her. I wonder what God’s plan is in this. I pray daily for her as well. During our visits we tried to evaluate how we could help people. At the first home, the 2 year old had on a pair of worn, summer sandals. Our latest box shipment contained many toddler shoes. Tanya wrote down the need and we plan to take them some shoes. There were other needs as well. But I think the biggest need is something that each of you can help us with. Please remember these families in your prayers. These are just a handful in the village down the road from where we live. But the needs are everywhere. In Ukraine, Africa, China, America. Pray for those in need. Be aware of where you can help. Ask for God’s guidance. Songs, the story of the boy who was blessed by sharing his lunch with Jesus and 5000 others, crafts and gifts were all a part of a party on December 1. Fifty-three children and their parents were blessed by the generosity of the Cle Elum, Washington Seventh-day Adventist Church and Smile Alliance International. Richard and I had the privilege of being on-site to present these wonderful gifts shipped from America. Tanya, a young woman who had been our Russian teacher last winter for a short time, contacted us in September. She had married in May. Sasha, her new husband, and she had recently moved to our village and were living with a family from their church. We re-established contact and they started staying at our home when we are on outreach. It’s been a wonderful arrangement for all of us. The drug rehab center up the street from us is a ministry of the church they attend in Bucha. Many of the church members are recovered drug addicts who are now in ministry to other people with addictions and HIV, prostitutes, and others. They are joyful and love God but are very poor. It is a church with many young children. Thus was born the idea of a party to distribute the pajamas and other things. Crafts were a big hit. The small children were thrilled with the stickers of the nativity scene which they put on construction paper and colored around. I heard one tiny girl naming off the people in her picture—Papa, Maria, and Jesus. It was so sweet. The older kids decorated door hangers with Christian symbols, glitter glue and pens. They created some really beautiful items. The mothers were thrilled with the warm pajamas and the kids loved the toys. Children two years and under received hats, mittens and large stuffed animals. Three to five year olds received pajamas and hats along with a Grandma Rosa blanket containing a small stuffed animal. The kids, 6 and older, were recipients of hats, wallets, and blankets. They all seemed to be excited. At the end, the children gathered for a picture and a 13 year old boy prayed for Richard and me, our ministry, and the donors in America. Then many of the kids came and either kissed our cheeks, hugged us or shook our hands. It was beautiful and we were very blessed. So I say, thank you, to all of you who have sacrificed and given to these children. Just as we were getting ready to leave, three more children arrived. Tanya told us that the lady who brought them lives in the same building as they do. There is one kitchen, one bathroom and numerous rooms that the people live in–it sounds somewhat like a boarding house to me. But she said it was in terrible condition and these kids live with a violent, alcoholic father. Apparently as they were leaving to come to the party, the father was yelling at them and the lady who brought them. He was saying some very nasty things to them. We ask you to remember these two girls and their brother who are trying to come to church and to follow Jesus. I was impressed with how polite they were. We were glad they arrived in time for us to give them some blankets, hats, and other things. This weekend at church Marek from the Sunshine Center quoted Ecclesiastes 11:1. I share it because I feel it is true for all of us, but especially for each of you who have supported and encouraged this ministry. “Cast your bread upon the water, and after many days you will find it again.” Eccl. 11:1 NIV: When you bless others you will in turn be blessed many times over. That is our prayer for you. The past eleven months were so busy that I did not blog as often as I would have liked to. I don’t want to bore those of you who are actually reading this so I will add a quick list of the outreaches Richard and I went on in the past few months. It’s always a treat to meet many new children and sometimes heartbreaking to hear their stories. Drs. Richard and Inna spent many hours in meetings and working to set up the dental room at the Emmanuel Clinic. Then on the weeks there are no outreaches with Mercy Trucks/YWAM, they try to work on children on Monday, Wednesday and Thursday. Jan. 4: We delivered 65 presents for the widows that Good Samaritan Ministries in Zhitomer works with. We had the privilege of visiting several of the ladies in their homes. Jan. 6-8: Vicki was excited to be able to help distribute presents to children who came to the play that CBN/Emmanual Ministries puts on each year. 18,000 people viewed it over the 8 days it was in production. Jan. 17-19: Richard partnered with Mercy Trucks Dental Van at the Kamarivka Orphanage. There are approximately 130 children in this facility. February 3-March 6: Trip to America. While there talked at a number of churches and service clubs from Spokane in the eastern part of Washington State to Joyce on the coast. We took post-graduate courses in Southern California and enjoyed time with our oldest Todd and his family, visited my mother and sister’s family in Oregon, and spent some time with our other son Jacy and his family in Renton. A very busy trip. Oh yes, we also got caught in a major snow storm on Snoqualmie Pass after visiting our friends and the SAI board in Cle Elum. March 11-18: Dr. Ed and Pauline Steudli stayed with us and we there were several meetings with Ukrainian dentists and others who are involved in the dental hygiene project that is being implemented in Ukraine. The Steudli’s have great expertise and experience in starting hygiene education programs. April: Vicki spent several days helping friends pack for move to America. Also, distributed numerous boxes sent from donors in the US and Canada. May 2-5: We went with the dental van to Ivanivka village and worked with villagers in connection with the Methodist Sisters. This was the second outreach with these dedicated women. May 25: EEO Orphanage near Chernobyl Zone/ Richard pulls teeth and V icki, Charlene and Jen do crafts with kids and deliver presents to them from a the Windy Valley Pathfinder Club in Washington State. May: Friends from Zhitomer visited for a few days and stored items at our house while they went to America to pursue funding and decide on their future. (They will not be returning until September 2008.) Charlene and Jen Ellis visited for 9 days. Vicki helped another couple with movers and distributed their bounteous supply of food and other items to numerous places. June 19-23: Camp Dream in Lugansk region (A 19 hour train ride from Kiev) See blog below about this trip. July 1-6: Camp outside of Uhzgorod (14 hour bus trip west and 18 hour train ride home) Partnered with YWAM team from Faro Islands–Richard worked on many gypsy kids while Vicki was very sick and spent a couple days at the hotel. and was only albe to spend one day at the camp. July 31-Aug 5: YWAM team of 6 from California plus Jacobs stayed at our house after their three week outreach in Lithiania and another in Odessa. October: Month of meetings, receiving and distributing 42 boxes of humanitarian aid—several trips to Zhitomer and other places. Helping friends with move back to America—distributing some of their items. Another 20 boxes were received two weeks later. Nov. 5-6: Joined a Mission to Ukraine team from Indiana in a small village south of Zhitomer. Richard enjoyed helping out whenever he was needed and working with the three dentists on the team. Vicki helped Jan Young distribute 200 pair of glasses to villagers. Vicki also gave out toys sent from a VBS in Atlanta, Georgia, hats knitted by a retired couple in Sublimity, Oregon and socks knit by a couple in Milton-Freewater, Washington. The people were very excited to receive these things. Nov. 8: Potiiva School for Disabled kids (130 children) with MTU team. We had so much fun doing crafts with the kids and giving them all gospel teddy bears which were generously donated by Family Christian Book stores. Vicki had sewed buttons on all 130 bears so they children would be able to tell which one was theirs. Nov. 20-21: Sunshine Center with Nathalie and Marek’s Sunshine Ministry. Used portable equipment and Vicki assisted–gave out hats, gloves, and scarves and gospel bears.Two more outreaches are scheduled next week and then we go to America for a month to spend the holidays with our family. There is a lovely, young couple who stays at our house while we are gone. We praise God for helping us find them.Looking back at this schedule, I realize how hectic the last few months were. No wonder we are often tired. These are just the outreaches. There were also a lot of meetings, gathering of supplies and equipment, distributing boxes and organization of things being stored at our place. But the stories that are behind all these events are the things that keep us going. It’s the kids, the widows, the lives that are touched on each of these trips that make the difference. In the next few days, I plan to share some of these stories. Thank you to all who are contributing funds and donating humanitarian aid in support of this ministry. Without you we would not be able to share God’s love with as many children and adults. God has promised to bless those who are joining Him in His work. Last Friday (November 9) we visited Smile House to see how things were going. As we started up the narrow road that leads past a small lake we were pleasantly surprised that we no longer had to dodge deep potholes. They had all been filled in. As we emerged from the trees more surprises awaited us-several dump trucks, a paving machine and crew and steam rollers were laying asphalt just beyond the building. We had not thought this possible–and it was very nicely done. Also, the windows were just about all in. By that evening, they were probably finished. As we looked out of the upstairs windows we realized why the road was paved. Lots are being sold for a new housing development down the street in the once quiet apple orchard. In the past few months several huge mansions have been built and the neighborhood is evolving into a haven for the wealthy. We were astounded. Having watched building crews working throughout the summer, we knew that some new homes were being built but actually seeing the finished products took our breath away. Smile House is in the middle of a high class neighborhood. How this will impact the fate of the ministry remains to be seen. All we know is that this is God’s project and His plan. We watched the movie Facing the Giants last week for the second time. In the movie a godly man tells the coach a story about two farmers who prayed for rain. The difference between the two was that one went out to his fields and prepared for the rain. He was the one who received it. I feel it’s time for us to start praying and preparing for God’s blessing on this project, for His leading and for His completion. Please join us in this prayer. Praise God! He is so very awesome and He is smiling, rejoicing and laughing with us today. The Smile Alliance International board of directors, its supporters, and friends and our workers in Ukraine are excited that through many small and two large donations in the last few months it looks like God is giving us the okay to proceed with the Smile House Project. It was been on hold for several months because of lack of funds but we have all felt it was a matter of timing and that eventually God would give us the direction to continue with it. We are so thankful for the generosity of all our supporters. Many of you support the work each month and I know it is a big commitment from often limited funds. Without your steady, committed support our ministry would be unable to continue. I want to thank each one of you—every penny that is invested in this work is important to us and we strive to use it wisely for God’s glory. Luke 21:1-4 tells of the widow who placed two small coins—her last—in the offering plate. Jesus commended her and her story lives on over the centuries as an inspiration to all of us. In the same way we are inspired by each of your contributions to the ministry—spiritual, emotional, financial and physical. On Monday, June 25, I told a friend that I felt God was telling me that it was time to step out and go forward with plans. Many have fasted and prayed for this project and for some kind of confirmation as what direction to go with it. In the meantime, unbeknown to us, Mr. S and the contractor had been getting bids on windows and doors. A generous donation of $20,000 had been sent to SAI a couple months ago for the use of the ministry in Ukraine. It is being used for dental needs, some much needed items for poor children in the villages, and some basic ministry needs. Yet there is still a large part of it which can be used to put in a well and possibility some plumbing in the building. The past few months have been very busy (see www.smilealliance.blogspot.com) so we took a much needed break from ministry for three days to visit some castles and historical ruins with a Ukrainian friend, Yuliya. I will post pictures and commentary on http://www.livinginukraine.blogspot.com/ this afternoon. Anyway, when we got home and I checked my email yesterday I found a wonderful confirmation that we are to continue to move forward. But let me go back three years before I continue with this thought. At a Commission for Children at Risk conference in Rome, Georgia in November 2004, I met a very nice lady named Karen Jones. We spent time praying together and have kept in touch over the years. At that time, she told me of an estate which had been designated to help the orphans and poor children in Ukraine. She suggested that SAI apply for some of the funds. Through a set of unusual circumstances the people appointed to administrater the funds were unable to do so, and it went back to the drawing board. Last September, we received a call from a man, Greg S., who was helping the judge determine the distribution of funds and he asked for information on the organization. Sherry Longbine, Patty Radzykewycz, and I sent him information about SAI, Smile House and other projects. There were many months of silence and then in January we heard that SAI had been selected with two other organizations to receive funds from the Estate of Merritt Orr in the state of Texas. We had no idea how large the estate was or how much SAI would receive. It’s been interesting waiting and wondering. We all knew that whatever the amount—whether small or large—it was just what God had planned. So we waited. Back to yesterday, the check came to P.O. Box 240 yesterday—mailed probably on Monday—about the time I felt we should step out and go forward with the project. The amount: $107,710.43. SAI received 40% of the estate. Praise God! We are so thankful that this person whom we were never able to meet had a heart for the children of Ukraine. Through his kindness many, many children will be blessed. We are all rejoicing, seeing God’s leading, knowing that He is in control. This amount will help finish the windows and hopefully the dental portion of the building. Estimates for the final finish work on the whole building are around $450,000 but volunteer labor and donated materials, it could be a lot less. This is just the amount needed at this point in time and we thank God for it. Richard and I wanted to share this with each of you so together we can all send our thanks to a loving, heavenly Father who has dreams much bigger than any of us can imagine. This huge project is often daunting but it is His project. Our motto is Psalm 115:1 and will continue to be. May each of you be truly blessed as well and be able to see the plans He has for you. We just returned from a dental outreach to the far eastern border of Ukraine, near Lugansk. I have written an account on http://www.smilealliance.blogspot.com/ . Over the next two months, Richard will be traveling to Uhzgorod on the western border of Ukraine, Zhitomer in the central part, and Ternopil in the southwest. He will join the Mercy Truck ministry dental van on these trips. Dr. Inna will also be going west on alternate dates. There is a huge need for more dentists this summer and throughout the year to help staff this. Our dentists are also working at the Operation Blessings Emmanuel Clinic when not helping with the Mercy Truck ministry. The Smile House Project is more less on hold until additional funding is found or we have confirmation that we should rethink the project. Please pray for guidance. This morning we returned from an outreach to Camp Dream in the Lugansk region of Ukraine—the far eastern part of the country. It was a long distance to go for such a short time but we really feel God had a reason for this to take place. We are not yet sure what it was, but in time God will connect the dots and we will probably know. The camp was beautiful and if you walked down to the river–200 meters or so–you looked across to Russia on the opposite bank. There were 150 kids attending this camp session. In the two days of working, our dentists did exams on 110 kids and finished 29 procedures which included many fillings, extractions and a several root canals–Inna loves to do these. They worked long, hard hours. It was difficult for them because we knew they would probably never see any of these kids again for treatment. And this is the first place where there were many, many children who were terrified to have treatment. There was one little girl that I watched Richard trying to give an injection to. I saw her visibly shut down emotionally–we could not get any type of response from her. She was incapable of opening her mouth or even moving. This is the hardest type of patient for our dentists because we know they have been abused–either physically or emotionally or both. He had to just let her go without treating her. It is so frustrating to not be able to help them. The mouths here were very much in need of treatment. Many of the children were from an orphanage of 237 children in a nearby town. We met the director, his wife and daughter—they had come for opening ceremonies of the camp. We have never seen a director that was as loved by the kids as this man was. We are very glad to know that they have someone who cares for them and has their interest at heart. Many of the girls–and there were several very small ones–wanted to sit by me, wanted hugs, or just wanted to hang out with me even though I didn’t always understand what they were saying. Some of them spoke a little English and wanted to try it out on us. Even some of the boys liked to get hugs. All of them loved to have their picture taken and see it on the digital camera. They wanted to know if I could get pictures for them to take home but I’m not sure how to do that from this distance. I wish I had known that they didn’t have much in the way of craft materials etc. or I would have tried to take some. It is a Christian camp–the cleanest camp I have seen. We were treated royally and fed by a guy who is a professional chef, went through a rehab program and became a Christian, and is volunteering for the summer at the camp. All the staff are volunteers except the nurses who have to be paid $200 and the camp is struggling to find the money for that. This part of the country is very Soviet in attitude and the gospel has not been received as readily here as in the west. It is a dark area. They are struggling with some problems with some of the older kids who have possibly been involved in some witchcraft. Prayers are really needed for them and for the leaders to know how to deal with these issues. It is so very hard to see this and not know what we can do to help. I want to tell you about the boy in the picture. His name is Anton. He was often around the area in front of the dental van. When it was his turn, he never spoke and even though afraid opened his mouth and had a tooth pulled. I kept trying to connect with him but couldn’t even get a smile. He always just looked away. He left the van before I had brought the small gift bags out that we give to patients. So when I saw him the next time I asked him to come to the truck and I let him pick a bag out. He left but a minute later came back to the door and said, “Thank you.” Those were the only words I heard from him but I cherish them. Then just before we left some of the girls wanted a picture taken with me. Anton was sitting close by and I asked him to take it with my camera. I had not let any of the kids use it. I put it in his hand but he didn’t know what to do–he just held his arm up where I lifted it. So I took his picture. Then I put it back in his hand and showed him how to take the picture. Several other kids tried to take the camera away and take the picture because he was taking so long. I just took it back from them and handed it to him again. I told them that I wanted Anton to take it. Finally, he did it. I showed him the completed picture and gave him a thumbs up. There was a ghost of a smile on his lips. When we left, I believe I saw his hand move in a slight gesture of good-bye. He touched my heart. I pray that God will bring people to him to light up his dark world. Please join me in that prayer. Pastor Ivan, who runs the camp, wishes he had people to provide programs for the kids but they are struggling just to have enough people to be with the kids. I am thinking that next summer it would be wonderful if we could get some teams to come and help. Please pray about this for us and if you know of anyone who might like to be involved, please let us know. I’d love to put together a team or two for this purpose. There are three camps of three weeks each taking place there this summer. One is for disabled kids and their parents and the other two are for orphans and some kids from churches in the area. Our two train rides have given me an appreciation for other types of travel. The trip out was 19 1/2 hours in an older train. But it wasn’t bad. We had a Coupay–a train cabin for four that you can make into beds. Dr. Inna and her daughter, Masha, (who will be 9 tomorrow) shared it with us and Rosen from YWAM slept in another cabin next door but spent the waking hours with us. It was fun even though it was a long ride. The trip back wasn’t as nice. The air conditioning in the room didn’t work and the attendant kept shutting the hallway window–which was the only window near us. It was next to the smelly bathroom and smoking was allowed in the area at the end of car with only a door between us and them. Although it was only a 16 hour trip and a newer car the whole thing was bumpy and swayed a lot. Several hours later we are still feeling the movement. I really don’t have a desire to repeat this experience again soon although we are supposed to go west in a week–an 18 hour trip. We are looking into taking a bus or flying. I think flying is out though because of the expense. The trains are fairly inexpensive–although our Ukrainian friends think otherwise. Round trip was about $40. Flying would be more like $250. I guess we shouldn’t complain because most people travel either in seats–not sleeping compartments–or seats that make into beds with no privacy–only a car with many bunks and no privacy. It was definitely an experience. With a busy summer ahead of us, I want to again ask for your prayers for the safety of our dental staff, the YWAM and other ministry teams, and most of all for all the lives that will be touched in the name of Jesus. Thanks again for your support. Here we are on a hill overlooking Russia. Without a visa we cannot enter it, but we look. It’s not quite the same as Moses looking into the promised land. I really don’t have a big desire to even visit again unless God sends us.